The work of Floris Flam is inspired by the geometry of the world around her. It is abstract, but often suggests architecture, influenced by having grown up in New York City and by her travels. Floris says she loves color, visual texture, and spatial ambiguity. Floris dyes and print white fabric using a wide range of surface design processes, such as low-water immersion dyeing, screen printing, and various resist techniques. 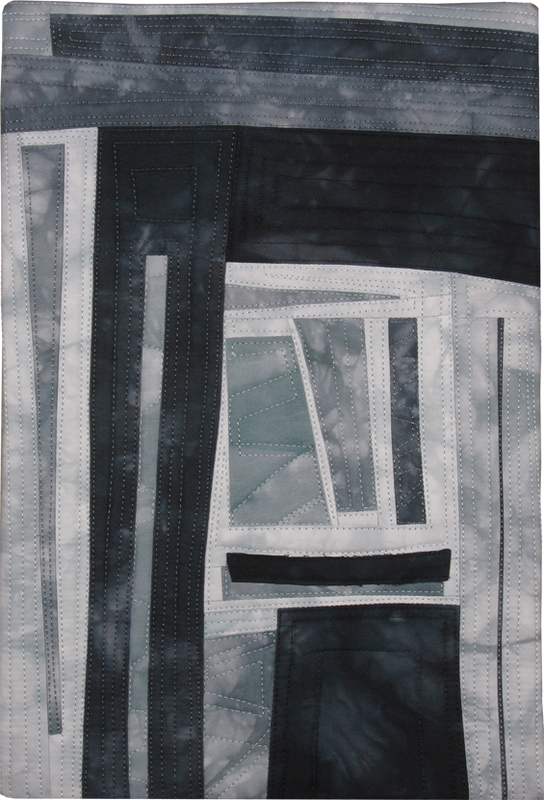 She starts each quilt by selecting a palette of colors and fabrics and proceeds intuitively and interactively, adding or removing fabrics and shapes until she’s achieved a pleasing composition. Floris stitches these fabrics together, further modifying the design as she proceeds. 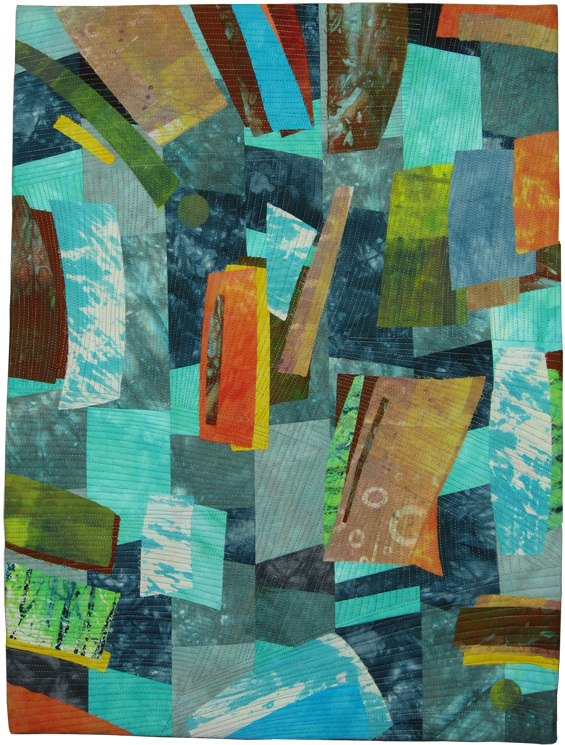 Batting is added and machine quilting using a wide range of thread colors to add texture, reinforces the composition and provides a further layer of interest. Floris encourages the viewer to enjoy the work as a whole from a distance and discover new delights when they come closer.